I wanted to do something involving art and I liked working with children. I did work experience in Reception when I was in high school and enjoyed it so much I wanted to go into teaching. No - it's more rewarding and tiring than I could ever have prepared for. Chocolate tester, sommelier or stunt woman. But nothing involving spiders of any kind. Art. But I was banned from using craft knives after an "incident" when I was in 6th Grade. Stomping on someone's sandcastle in the sandpit in Year R, blowing spit bubbles in Year 1, going missing during a fire alarm in Year 2, putting ice down my friend's back in Year 3...etc. Geography and History. Geography; because I love the outdoors and History, as I love the past. I'd love to work for the National Trust or as an education officer for a tourist attraction. I didn't really have a particular favourite, as I enjoyed every aspect of school. I once tore the solar strip off a calculator and was told off for defacing school property. 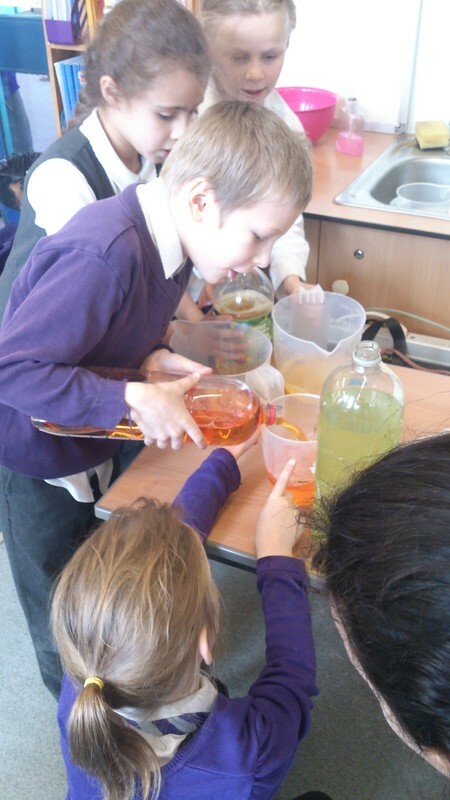 This term, as part of our "Wonderland" theme, we have applied our measuring capacity skills by creating our very own "drink me" potions.We measured liquids using containers with different scales and had to accurately record our concoctions. 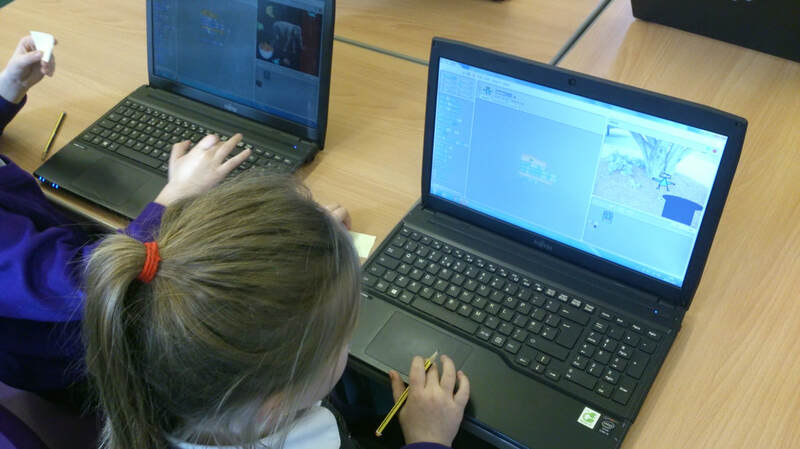 We have been using "Scratch" to develop programming skills. To fit in with our Wonderland theme, we have been making animations of Alice falling down the rabbit hole and entering a crazy and bizarre Wonderland. Hopefully we can present our projects online soon. 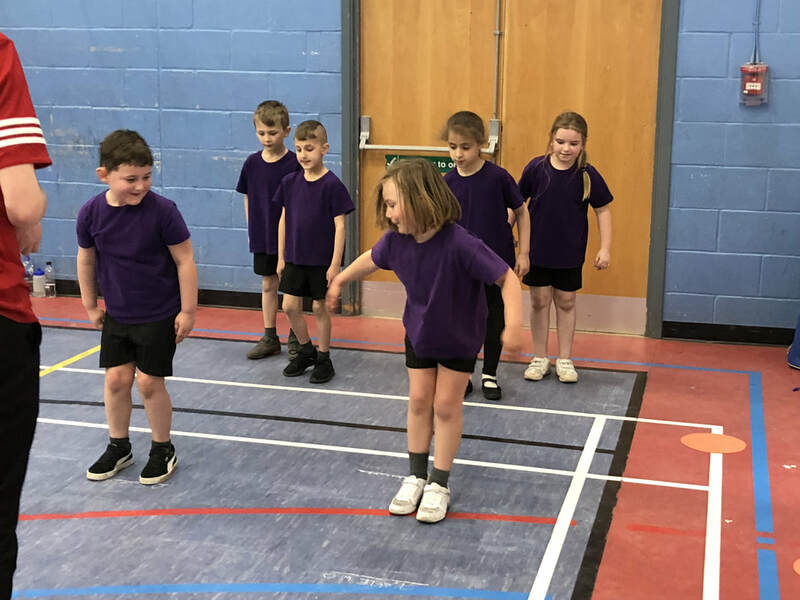 Year 2 participated in the Athletics Tournament again this year and had a fabulous time. Their favourite task overall was a unanimous "Tug of War"! 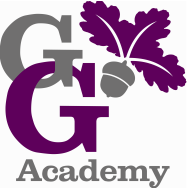 We are really proud of the way they encouraged others to persevere and have high aspirations! To celebrate the end of their "Wonderland" topic, Year 2 enjoyed a lovely teaparty. As part of their D&T, they have been working in the kitchen to make salads, sandwiches and muffins whilst discovering new tastes, learning about healthy eating and hygiene skills. 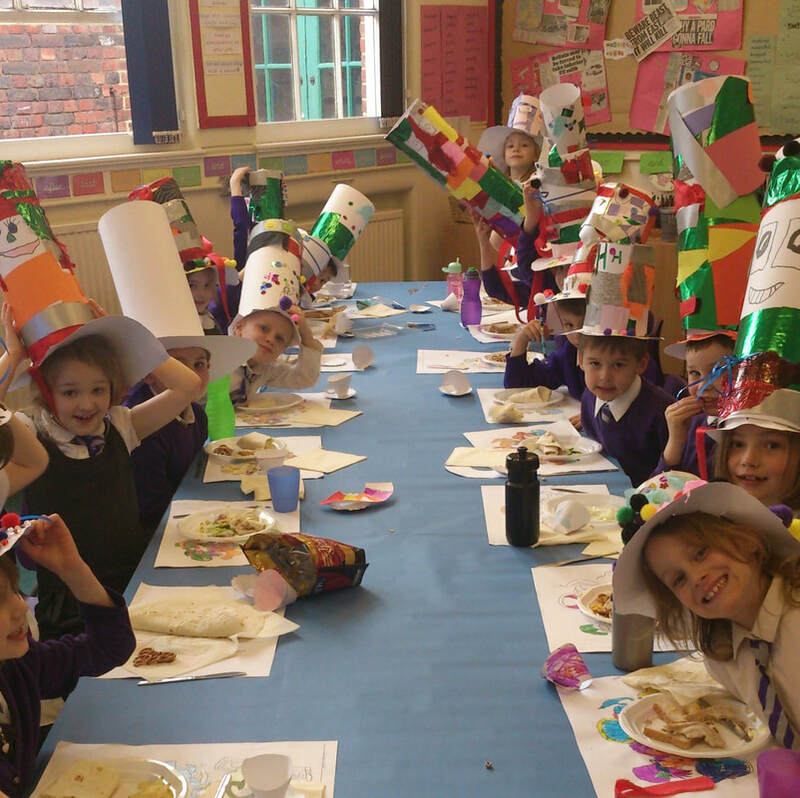 They also designed and made their own "Mad Hats".